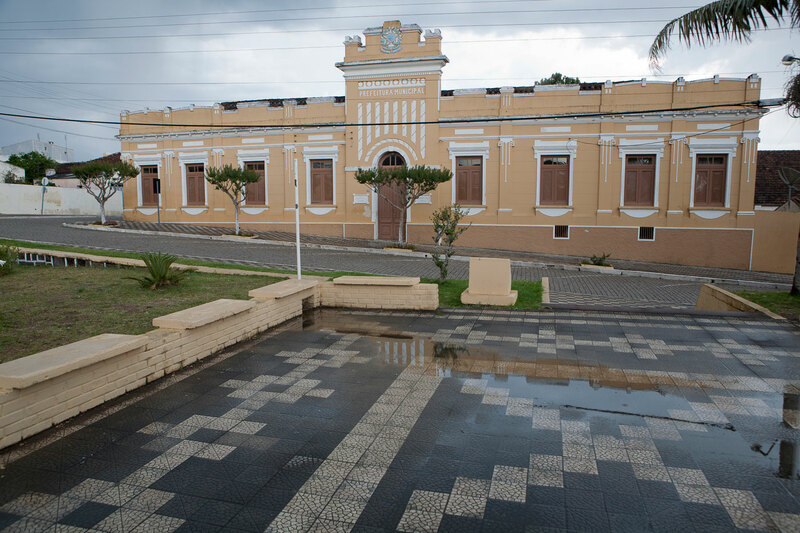 Previously the Casa da C�mara, it currently houses the City Hall. 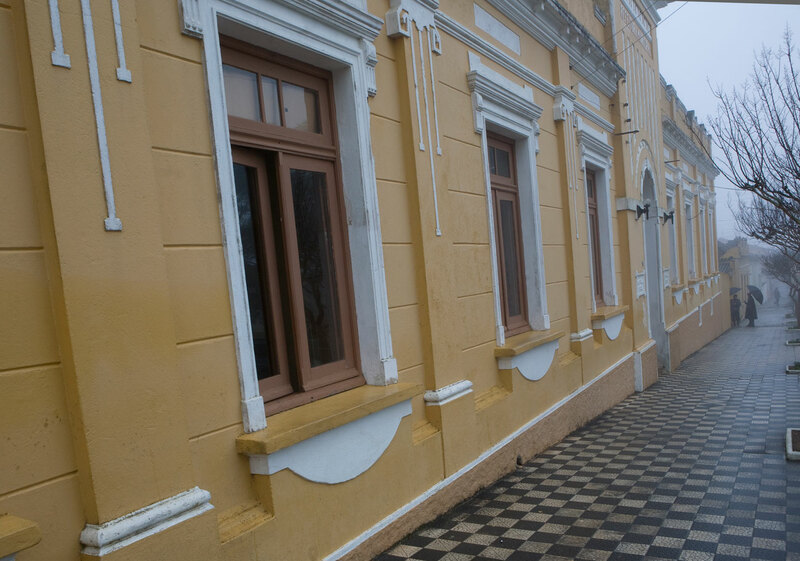 Its construction was initially commissioned by Gomes de Freitas in 1858. It was later renovated by Miguel Carosillo in 1934, who added eclectic and simplified elements. 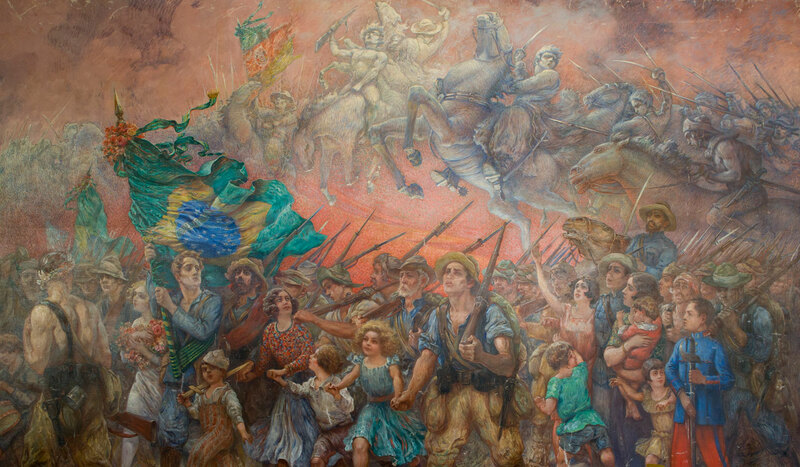 At the entrance hall, a large oil painting by artists Helios Seelinger is displayed, titled �Allegory of the cause of spirit of the Revolution�, and measures 122 x 202 in. The artwork was created in the mid-1920, and it belongs to the Historic Farroupilhas Museum permanent collections. 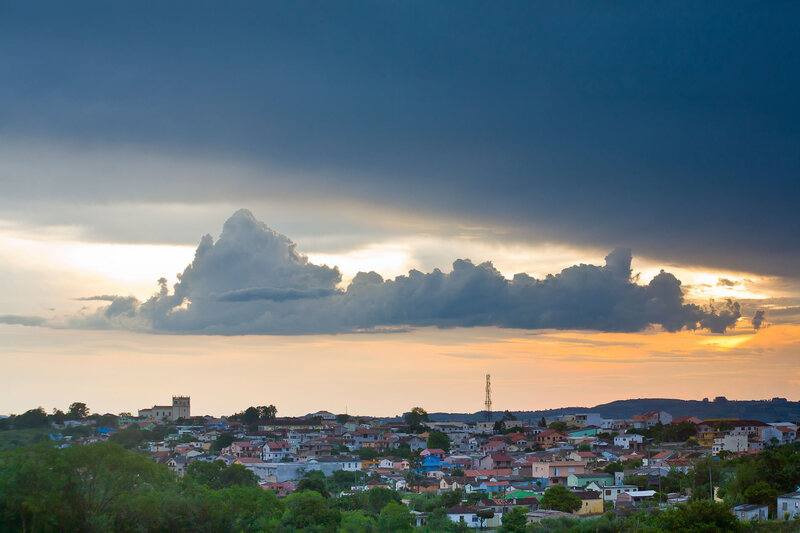 It was taken from Piratini Palace, in Porto Alegre, to the city of Piratini. The historical record is not clear about the exact date, but it is known that the painting arrived in Piratini between 1953 and 1959. H�lios Aristides Seelinger (1878-1965) lived in Porto Alegre in 1925. He was a painter, penciler, and cartoonist. Seelinger, of German descent, was born in Rio de Janeiro. His father was also a painter and cartoonist. The artist lived with his family while he attended the Imperial Academy for Beaux Arts in 1864. Later, between 1892 and 1896, he attended the National Academy for Beaux Arts, where he was supervised by Henrique and Rodolfo Bernardeli. Between the years of 1897 and 1900, Seelinger was mentored by Franz Stucj in Munich. In 1901 he was awarded by the Fine arts National Salon, after which he returned to Europe to refine his technique with instructor Jean Paul Laurens in Paris. The artist returned to Brazil in 1908, and exhibits his work at the Commercial Museum in Rio de Janeiro. Seelinger became well-known by his caricatures and cartoons. He also illustrated newspapers from Rio de Janeiro such as O Malho, Leitura Para Todos, Careta, Fon-Fon and D. Quixote. His work as an illustrator was considered bold and avant garde. 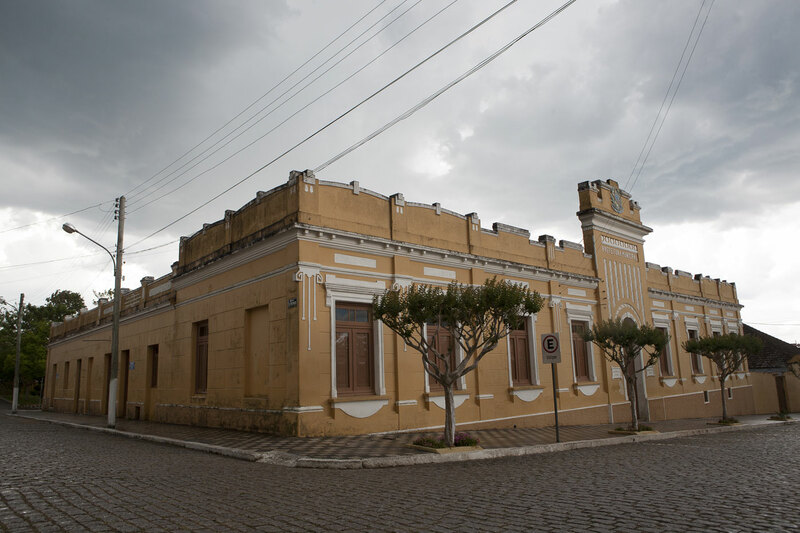 Seelinger arrived in Porto Alegre in 1924, where he displayed his paintings at the Casa Jamardo, a commercial establishment that promoted local talent and sponsored art and photography exhibits. A news article published by The Mask (magazine published in Porto Alegre in the 20�s) claims that all 40 paintings in the exhibit contained fantasy and landscape, and introduced Helios Seelinger as a well-known artist. He revolutionized local cultural production when he founded the group The Thirteen. The group encompassed local talented painters, writers, and journalists, by promoting art exhibits. Between 1939 and 1941, Seeliger returned to Rio de Janeiro, where he continued to participate in exhibits and to receive awards. Seelinger was also a Fine Arts National Museum employee for several years. Symmetrical composition, the building has a structured foundation on sloping ground, with raised central. In the central body, there are two door leaves and wicker-arched. On its sides, the windows are interspersed with four pilasters with decorative elements in straight lines and curves. The windows open in French style and have straight lintels and flags. The cornice is closed and in the central body there is an elevated coat of arms of the Brazilian Republic. The City Hall is a municipality heritage. Hor�rio de atendimento: de segunda a sexta das 9:00h �s 15:00h.